Get ready for the best school field trip ever. Twenty thousand New York City students will get to see Lin-Manuel Miranda’s genius musical, Hamilton, on Broadway. 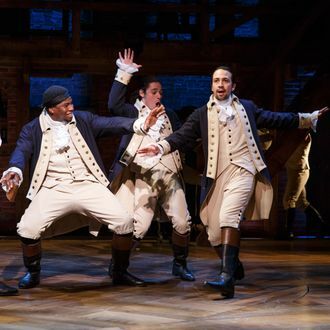 The Rockefeller Foundation is giving the NYC Deprtment of Education a $1.46 million grant, which will allow students to go at the “Ham4Ham” lottery rate of $10. The sticker price is $70 (Ha.). Some of the kids will also get to do talk-backs with the cast after attending matinees. “I can’t wait to perform for a theater full of students who are learning about our Founding Fathers in class and seeing how it still relates to their own lives onstage,” Miranda said. “They will see Hamilton’s story, and I’m hopeful that the stories it will inspire in them, will change our lives in ways we can’t even anticipate.” Better start saving that lunch money now!